A premium day-to-day essential carry workhorse, The Everyday Messenger is for photographers, travellers, commuters and everyone in-between. 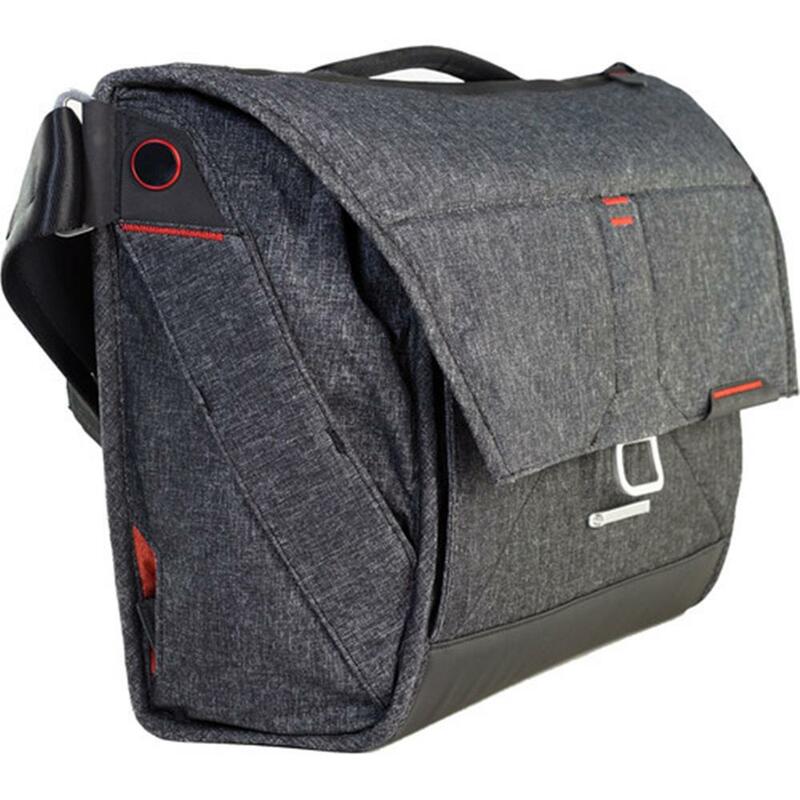 It's more than just an innovative camera bag, it's a giant leap for bag-kind. Patent-pending MagLatch closure. Origami-inspired FlexFold dividers. Weather resistant shell expands and contracts to hold a lot or a little. Dedicated Capture clip attachment points and front access panel designed for photography workflow. 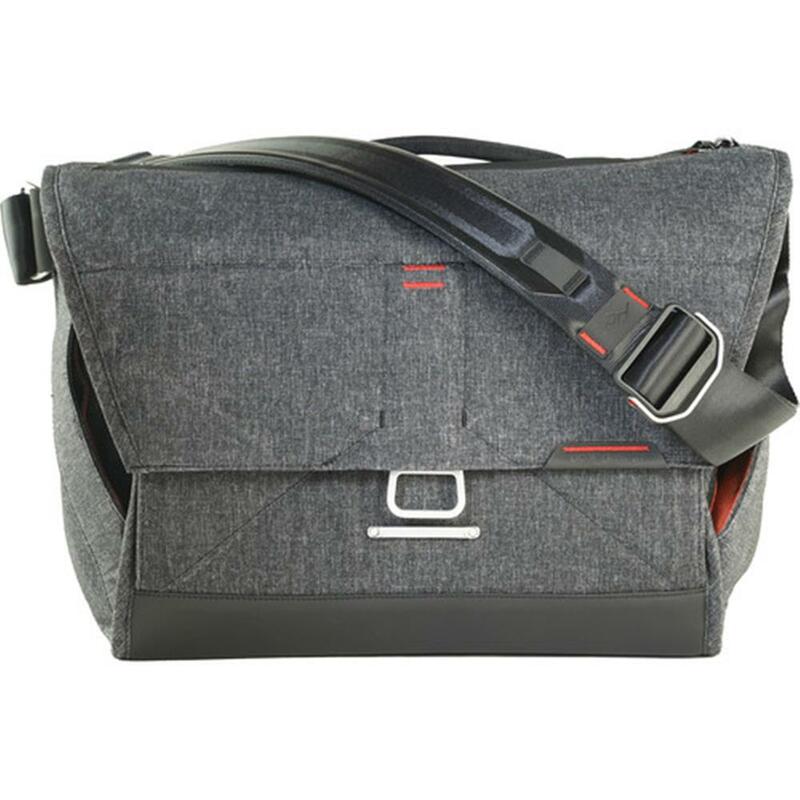 Hyper-adjusting internally padded seatbelt strap allows use as messenger or shoulder bag. Not a just a camera bag. 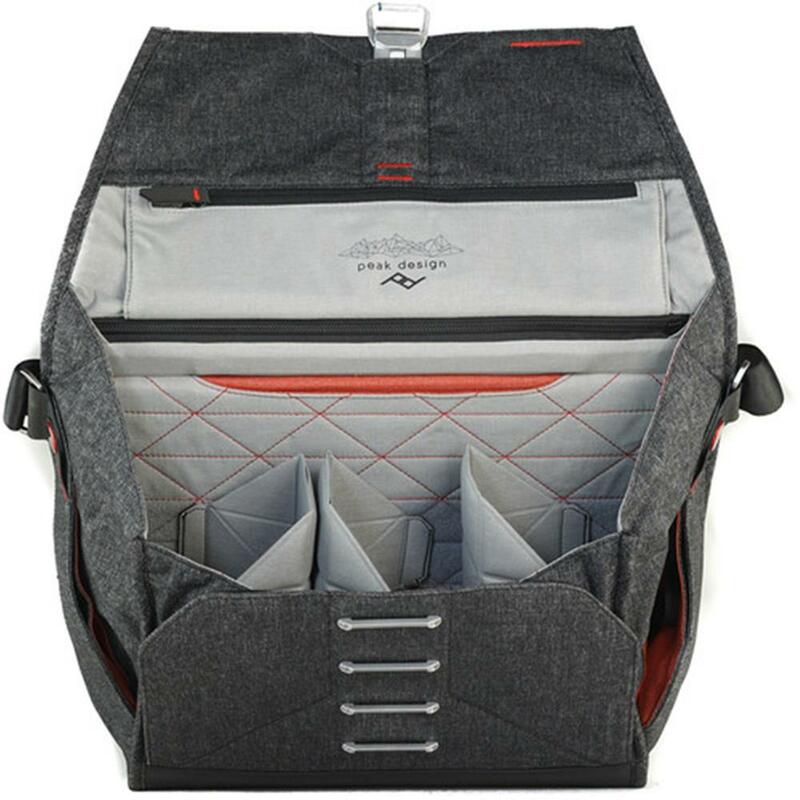 With removable dividers and an internal layout designed around travellers and commuters. 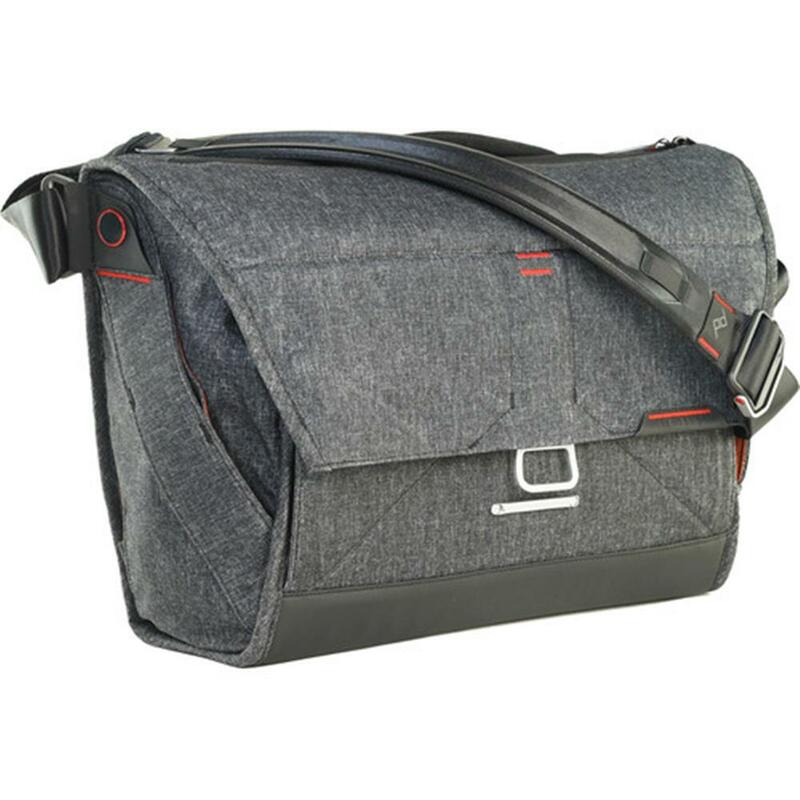 The Everyday Messenger has an intelligent layout with a unique and versatile set of pockets that can accommodate just about anything. 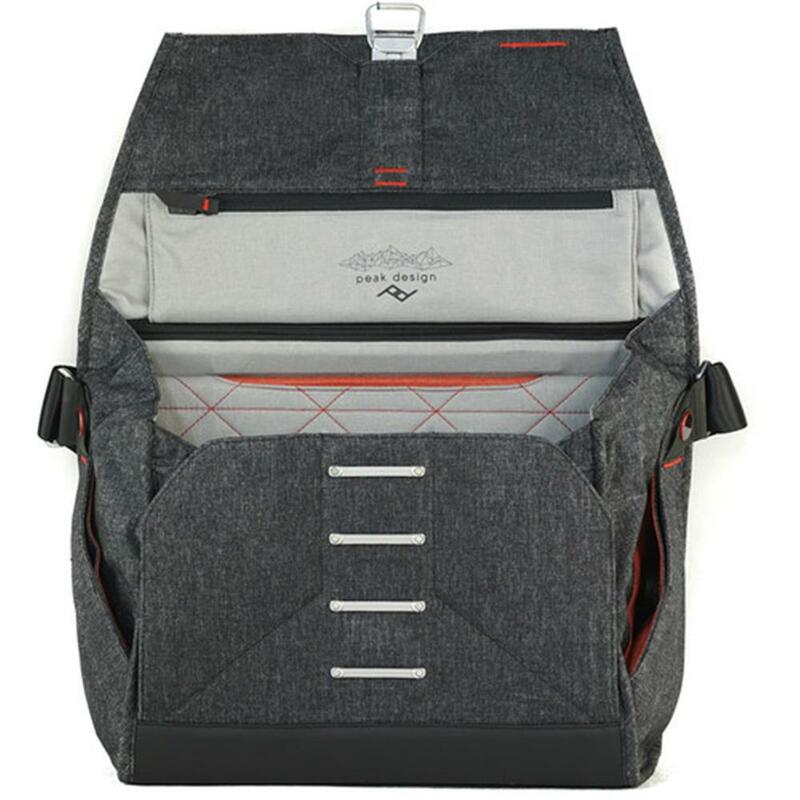 Rigid multi-panel design: Along with an adjustable latching system, this unique construction lets the bag expand and contract without losing shape. Flex-Fold Dividers: Origami-inspired dividers are versatile and eliminate dead space. 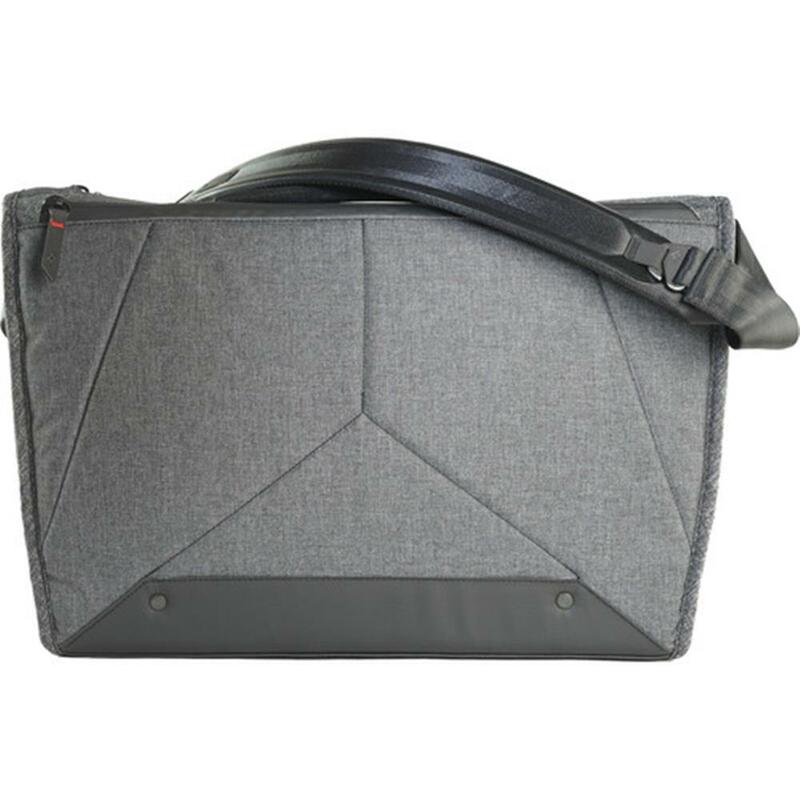 Laptop and tablet sleeves: Dedicated, protected 13-15" laptop pocket with tablet/document sleeve is accessible without opening main bag compartment. Holds your complete kit: Carry a complete daily photography kit, up to a full-frame DSLR with 3 lenses and accessories. Patent-pending MagLatch: MagLatch might be the only bag closure mechanism ever designed that is no-look, one-handed, quiet and secure. Features a magnetic clasp and 4 ladder lock points riveted to a stainless steel internal plate. The magnet catches the plate, creating a lock-free soft closure. Then, simply pull up on the latch and it will securely lock onto the nearest ladder. To remove, pull up on the latch handle. Color-coded stitching: Color-coded internal pocket stitching helps keep your photography workflow organized by separating dead batteries and full storage cards. 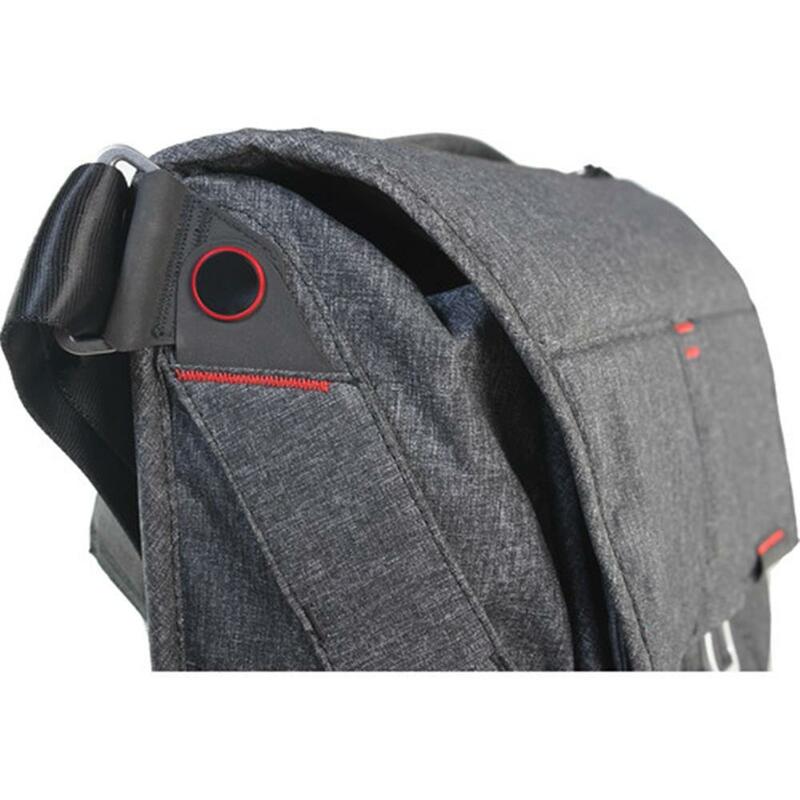 Side pockets with Anchor attachment: 2 side pockets provide quick access to keys, lens caps and smartphones. A hidden key/ID tether with integrated Anchor Link connector is located in one of the side pockets. 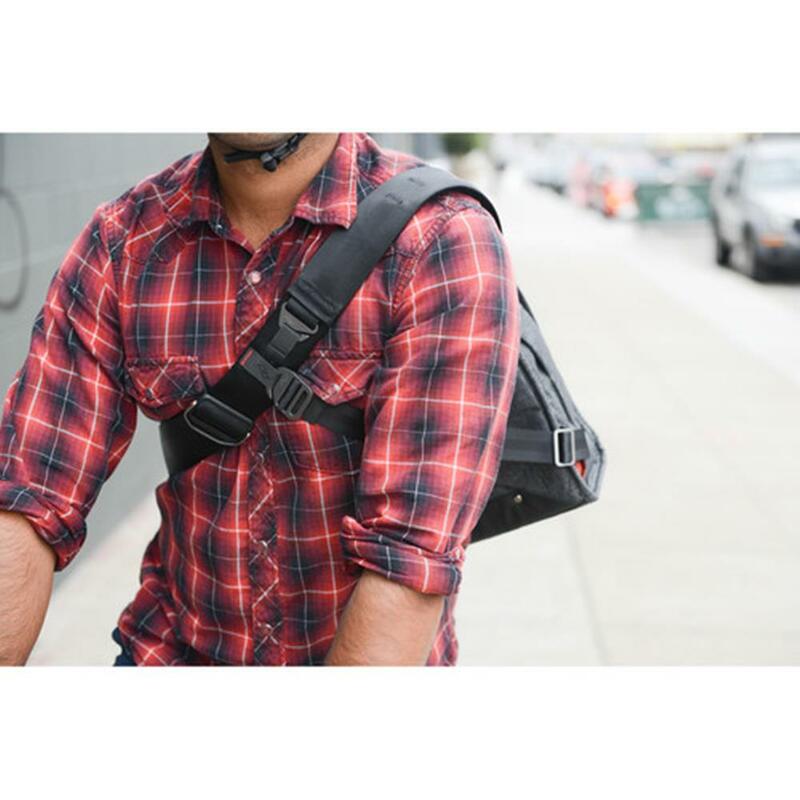 Messenger or Shoulder bag: Hyper-adjusting strap converts the bag from messenger to low-slung shoulder bag. 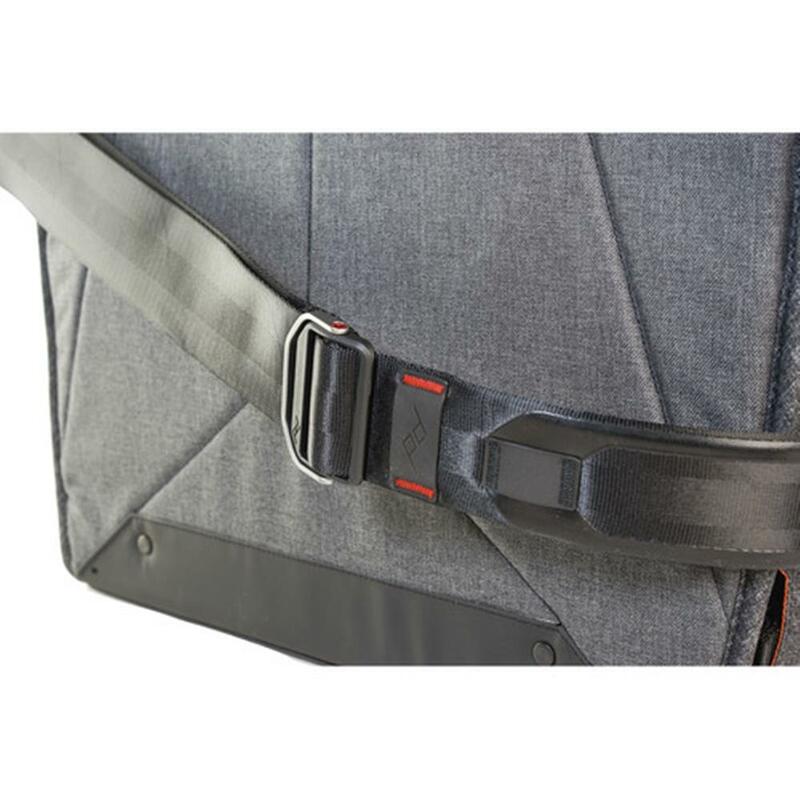 2-inch internally padded strap: Quick adjusting 2-inch padded tubular webbing strap carries heavy loads with ease. Plus, no exterior pad means a clean appearance with no hassle. Weatherproof shell: Weatherproof waxed 500D Kodra shell with high-density padding and DWR undercoat. Premium weatherproof exterior zippers. Premium materials and build: Hypalon-reinforced and bar-tacked stress points. Sleek seatbelt-style straps. Soft, durable mixed-cotton twill interior for protection, durability and a luxurious feel. No dangling strap ends: We strove to create an ultra clean design with no dangling strap ends, ever. 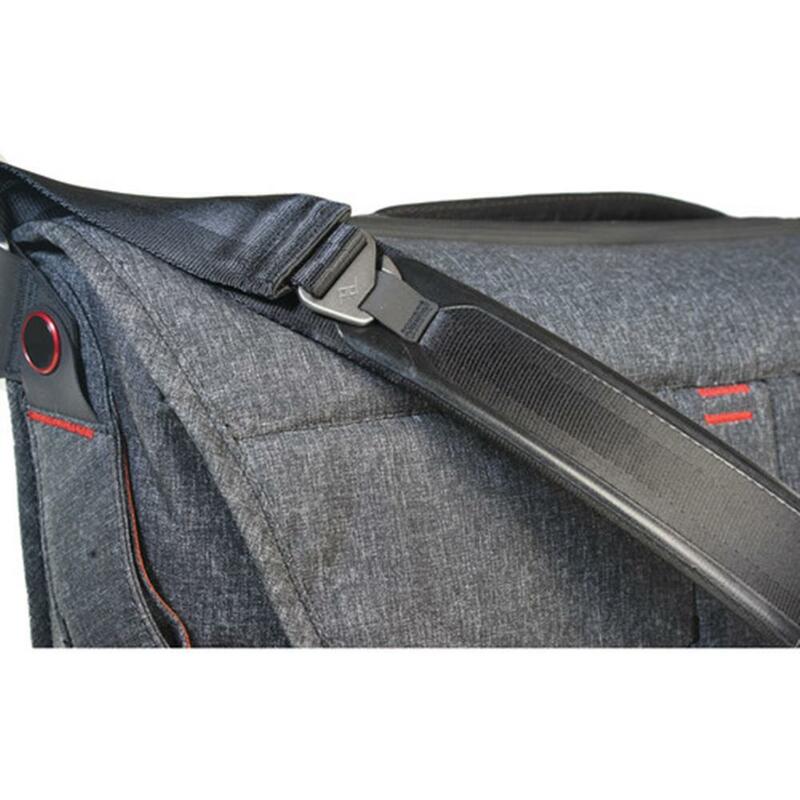 Even the stabilizer strap tucks discreetly into the sidewalls of the bag. 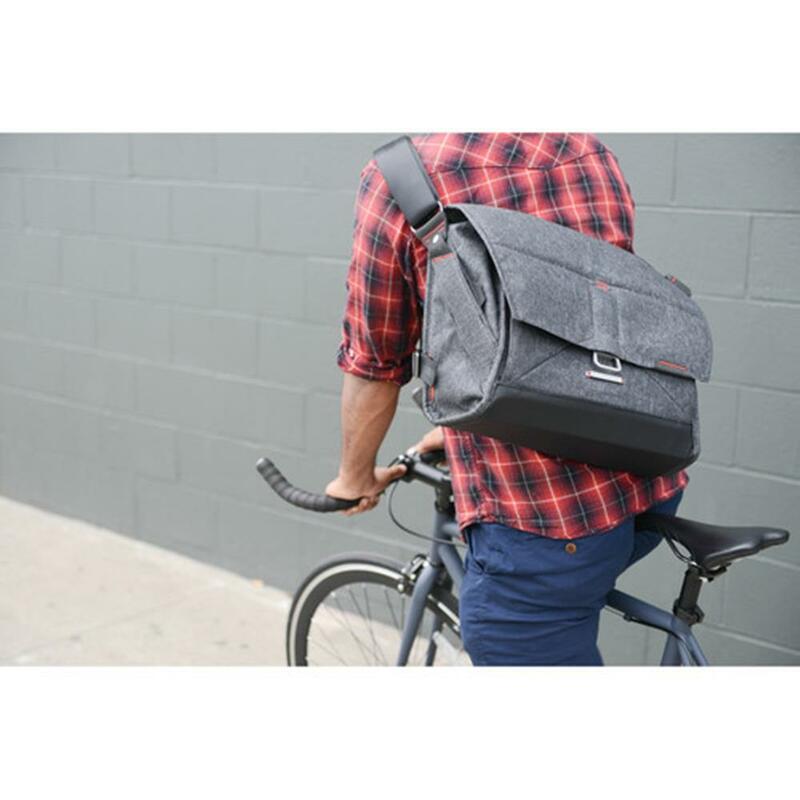 Classic form: Inspired by classic messenger and camera bags from the 1960's, The Everyday Messenger melds mid-century form factors with high-performance materials. Materials: Ultralight waxed Kodra synthetic canvas with DWR coating for weatherproofness, poly-spun mixed twill interior, waterproof galaxy foam bottom liner, compression-molded high-density EVA foam dividers and protective panels, die-cast and stamped aluminum hardware with sandblasted finish and protective clear coat.